Tanner Ford has been riding bulls and busting broncos his entire life. So when he takes a hard spill―and sustains serious injuries―he refuses to believe his rodeo days are behind him. He’s determined to restore his body and revive his career. 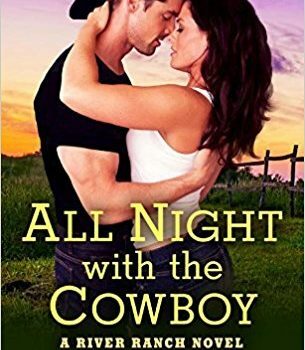 There’s just one problem: the finest physical therapist in town just happens to be the only woman he’s ever loved. Lauren Lewis knows she made a huge mistake when she walked away from Tanner. But she was young, ambitious, and focused on her medical career. Now, after all these years, Tanner’s back―and, in spite of his injuries, looking better than she allows herself to admit. 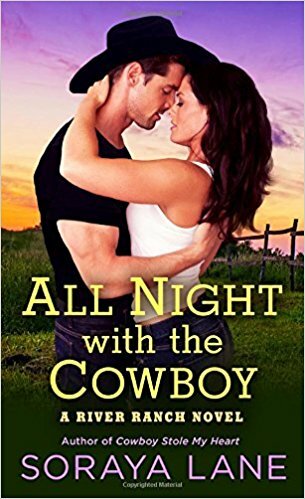 She agrees to work on Tanner’s big bruised muscles until he’s back in bull-riding shape again. But how can Lauren resist the smoldering attraction between her and her old flame. . .and will she be able to live without him? This well written novel is all about lost first loves and second chances, keeping you guessing about whether the two can push past their history in order to make a future together. Tanner and Lauren were deeply in love in high school. Their romance as everything – they were always together! Tanner was always viewed as the motorcycle driving bad boy and Lauren the good girl. Just as they were about to graduate, Lauren breaks off her relationship with Tanner which devastates him as he never learns why, although he does blame her parents. Later on in the novel we learn that her parents give her a choice – break up with him and go on to school and they will help pay her education or stay with Tanner and they will not help. While it may sound harsh, they have her best interests at heart and Lauren realizes this later. She understands that if she hadn’t gone off to college to become a physical therapist, she may have settled into marriage with Tanner and kids (while not wrong, she wouldn’t have realized how much she loves her career and may come to resent him later). Tanner’s sister works some magic and arranges for Lauren to become his physical therapist after a serious injury. It isn’t long before sparks fly! What they first agree to (a casual, no strings attached fling) soon becomes more with each not sure how to move forward. We watch them struggle with their feelings, expressing their emotions and learning how to move forward if they want to make a relationship work. It was a beautiful story from start to finish! Soraya loves spending her days thinking up characters for books, and her home is a constant source of inspiration. She lives with her own real life hero and two sons on a small farm in New Zealand, surrounded by animals and with an office overlooking a field where their horses graze. She is the author of The Devil Wears Spurs, Cowboy Take Me Away, I Knew You Were Trouble, and Cowboy Stole My Heart.